Towards the end of the 1990s, directors of new generation appeared in Korean film industry. Not going through the traditional apprenticeship, they were either from the Korean Academy of Film Arts (KAFA) or from abroad, becoming the center of Korean cinema renaissance in the 2000s. It is also when CHOI Ho stepped in the film industry. Born in 1967, he was a cinephile from his childhood, and he entered Department of Film Studies at Chung-ang University in 1985 upon graduation of an art high school. At college he was interested in student movement and cultural movement, and later formed an independent film house called Jangsangotmae with CHANG Yoon-hyun and JANG Dong-hong who later became a director and producer. CHOI’s directing debut was Opening the Closed School Gates (1991) depicting the teachers’ union and the issue of education, by means of co-directing. However Jangsangotmae soon broke up and he left for France where he obtained the master’s degree in film production at University of Paris 8. Back then his main interest was in documentary and he was deeply absorbed by auteurs like Jean Rouch and Richard Dindo. Upon return to Korea, he entered the commercial sector of film industry with Bye June (1998). It was a rather gloomy movie depicting young people’s feeling of emptiness, reminding of Norwegian Wood by Murakami Haruki, which was greatly popular among the Korean youth at that time. His second film Who Are You? (2002) dealt with the theme of solitude and communication. Likewise, his early works were dramas within the youth genre depicting their psychological and emotional flow. However these two films did not make a box office success, and the film that he returned in 4 years, fully equipped as a commercial film director, was Bloody Tie (2006). It was his first box office success but his next step was rather odd. 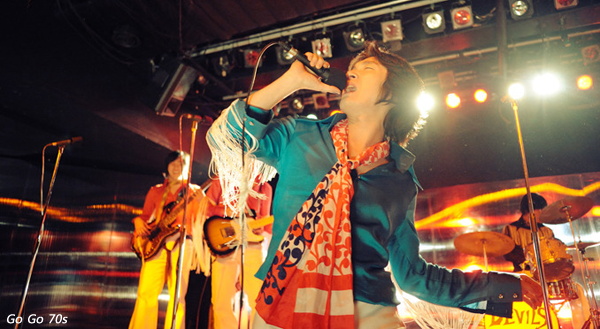 Go Go 70s (2008) is a period drama of rock music, which is a very rare genre in Korea. It is based on the true story of the first rock’n roll generation in Korea in the 1970s, but this film failed to make a box office hit. Big Match (2014) came out in 6 years since Go Go 70s, and as if in reminiscence of the success of Bloody Tie, it is a very speedy action film. 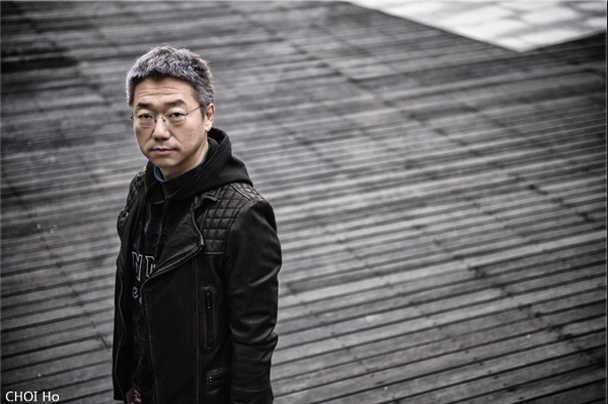 CHOI earned the Guru Prize for Best Action Feature in Fantasia Film Festival held in Montreal, Canada. It could be the best of CHOI Ho. Set in Busan during the IMF financial crisis in 1998, Bloody Tie shows the symbiotic relationship between Sang-do (RYOO Seung-bum), a middleman for drugs, and Lieutenant DO (HWANG Jung-min), a narcotics detective. DO’s life goal is to arrest Jang-chul, the key figure in the dark world of narcotics in Korea. He carries out a sting operation using Sang-do but puts him in jail instead when the whole thing has failed. They get together later on and track down Jang-chul again. The biggest virtue of Bloody Tie is the ability to grasp the right ambiance. It deals with the drugs as the central subject matter for the first time in Korean cinema, but the drugs also act as a metaphor of Korean society. During the IMF financial crisis, Korean people needed some kind of drugs to forget the painful reality. The drugs are among the most powerful yet dangerous escapist materials. The film depicts how the drugs destroy people. The shooting venues of Bloody Tie are those hidden corners of the port city Busan, and these places are not just locations but almost act as film characters. Without these places, the drama of this film would not have been delivered so clearly. To write this story, CHOI stayed in Busan and met several people to hear their own stories and visited diverse places. This well written scenario turned into a harsh, realistic and unique noir piece, with the help from dynamic camerawork and careful lighting. The cinemascope screen of 2.35:1, full of hand-held camerawork and active use of zoom, is something you rarely meet in Korean cinema. This film is in the same vein with Bloody Tie in the sense that it vividly reflects a certain period in history. Set in the 1970s when the rock band culture was barely sprouting in Korea, it is a fiction based on the true story of a band called Devils. 6 young men from a small town move to Seoul to play at a club called Nirvana and become the center of youth culture. CHO Seung-woo, a great actor and musical singer, who also proved his singing ability in CHOI’s second film Who Are you?, plays the lead vocalist Sang-kyu. And several musicians appear in the film either as supporting roles or extras. This film is more than simply a music film. It reveals the oppressive reality of the 1970s represented by curfew and prohibition of long hair which especially confined young people. Here, Go Go 70s grasps the vivid youthful energy which nonetheless exploded despite the vicious oppression of law enforcement institutions. The highlight of this film would be the performance scene of Devils, taken in long takes. CHOI reverses his early theme of gloomy youth into vivid energy and passion of young people, which also depicts their resistance. It is certainly outstanding among the music dramas that were slowly appearing in Korean cinema since the mid 2000s. It is an action film using the whole Seoul as the setting of a big scale game. 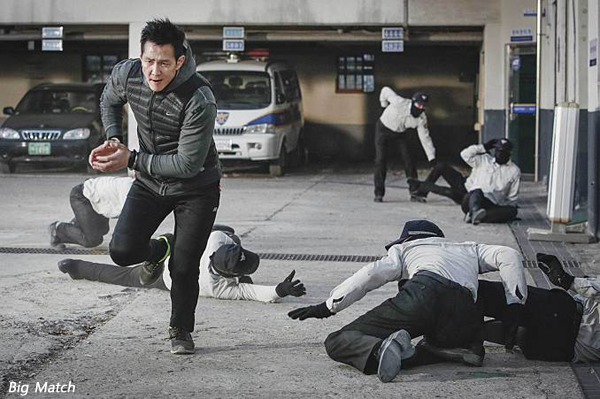 Young-ho (LEE Sung-min), who is the first Korean martial arts star Ik-ho (LEE Jung-jae)’s brother and also a trainer, is kidnapped. Ik-ho is to overcome a variety of obstacles in order to save his brother, under the order of Ace (SHIN Ha-kyun), a game architect. His struggles are televised to VVIPs on betting, and he is to clear all the game stages risking his own life, just like a game character in a gambling game. Big Match is CHOI Ho’s latest work and is an attempt at a different genre from his previous works. Whereas actors’ stunt action in Bloody Tie was directed to emphasize the realistic feeling, Big Match went through a careful pre-biz work, and in post-production, a lot of computer graphic work was used, making it a “technology action” film. CHOI says he referenced Die Hard (1988), in the sense that the main character Ik-ho never loses optimism and a sense of humor, just like John McClane. Like Busan in Bloody Tie, Big Match uses many different places in Seoul as the setting for action, increasing reality of the film. Bloody Tie, Go Go 70s and Big Match are available on the KOBIZ Online Screening service(screening.koreanfilm.or.kr). KOBIZ Online Screening service is available sign up at any time, for film festival programmers, buyers and press.